Perched on Bledington’s village green, a stone’s throw from Stow, the idyllic sixteenth century King’s Head Inn ticks every box, with its country ambience, sense of tradition and, of course, a top-notch menu. Head chef Giles Lee serves hearty English dishes with real imagination in the intimate wood-clad bar. For a more formal experience, book a table in the dining rooms. Stripped back stone walls, an open fire and simple, hand-crafted furniture have transformed The Wild Rabbit fin Kingham from local pub to stylish weekend escape, with twelve beautiful, airy rooms. Keen to support British farmers and artisan producers, the organic menu is full of seasonally inspired dishes and features locally foraged herbs. The wine list is great, too, and the terrace is a must for summertime al fresco dining. Coming with a bigger group? Try The Chicken Shed for party bookings. Chef Emily Watkins and husband Miles Lampson are the family force behind The Kingham Plough in Chipping Norton, offering cutting-edge culinary takes on classic pub grub. With fresh, locally sourced ingredients at the heart of their dishes, the talented team produces an ever-changing and award-winning menu that’s particularly good value. Friendly, Grade Two-listed The Royal Oak pub in Tetbury has undergone a retro revival, taking it from handsome tavern to a top-notch dining spot where you’ll find live music and friendly local buzz. Expect hearty, organic bistro-style dishes, such as real-ale battered fish of the day with hand-cut fries, homemade tartar sauce and garden peas. As well as lunch and dinner, there’s also a weekday worker’s pot available from 5pm to 6.30pm. Upper Oddington is a conservation village in an area of outstanding natural beauty close to Stow on the Wold, and The Horse and Groom is a sixteenth century treasure where you can enjoy a cask ale in the bar, complete with flagstone floors and fire, or tuck in to the restaurant’s delicious seasonal menus. Fish is responsibly sourced, and local suppliers ARE used wherever possible for meat, cheese, fruit and vegetables. The pub also has rooms, so why not make a night of it. The Fuzzy Duck, Armscote Work up an appetite for your lunch by taking the Fuzzy Duck Waddle, a two and three-quarter mile ramble through the countryside and Newbold on Stour before sitting down to relish the diverse, seasonal menu at the The Fuzzy Duck pub. As well as the sophisticated restaurant there’s also a private dining area, and a ‘Garage’ overlooking the garden and terrace for larger events or special get-togethers. 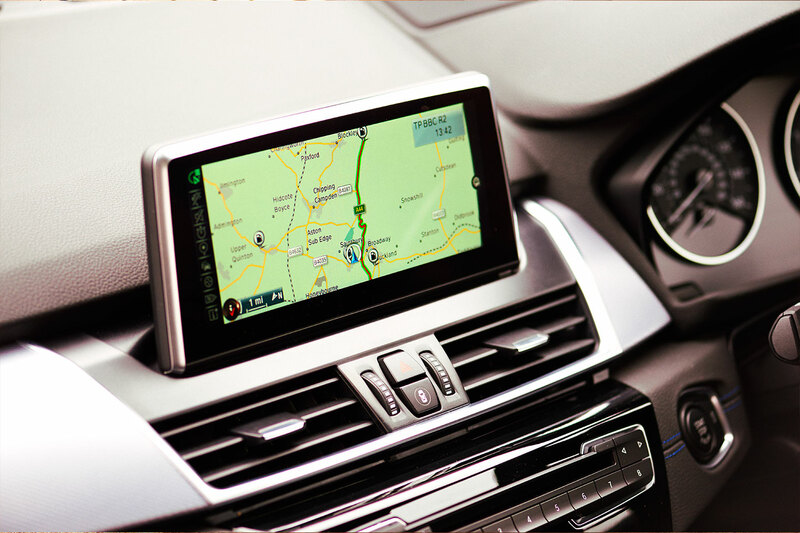 If you’re visiting the Cotswolds and want to book ahead, the seven-seat BMW 2 Series Gran Tourer concierge services via BMW Navigation Plus makes getting your table easier than ever. Plus its comfort access means you don’t even need to hold a key to open the doors – and the boot opens up for your luggage at the flick of a foot. 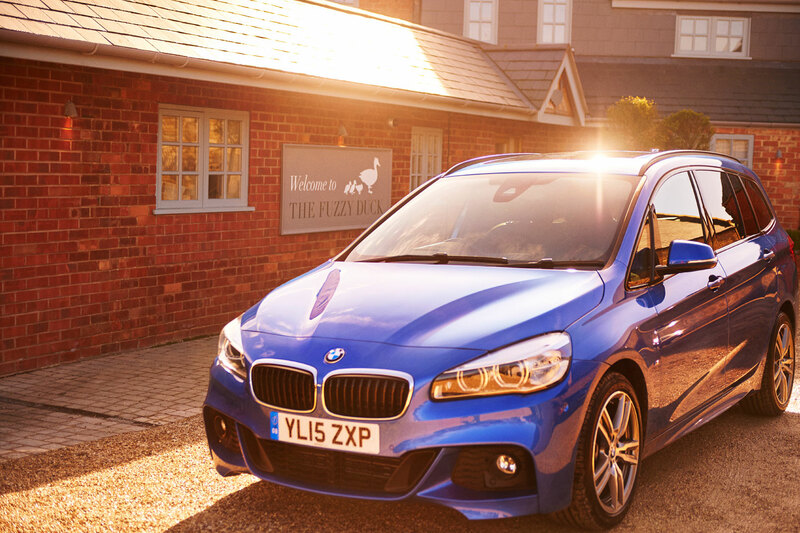 For your chance to win a luxury family weekend break to the Cotswolds, with the use of a BMW 2 Series Gran Tourer for the duration, click here.